Enjoy our wonderful fragrant and festive holiday candle set. Peppermint, Blue Spruce & Mistletoe fill your days and evenings with joy, happiness and love. 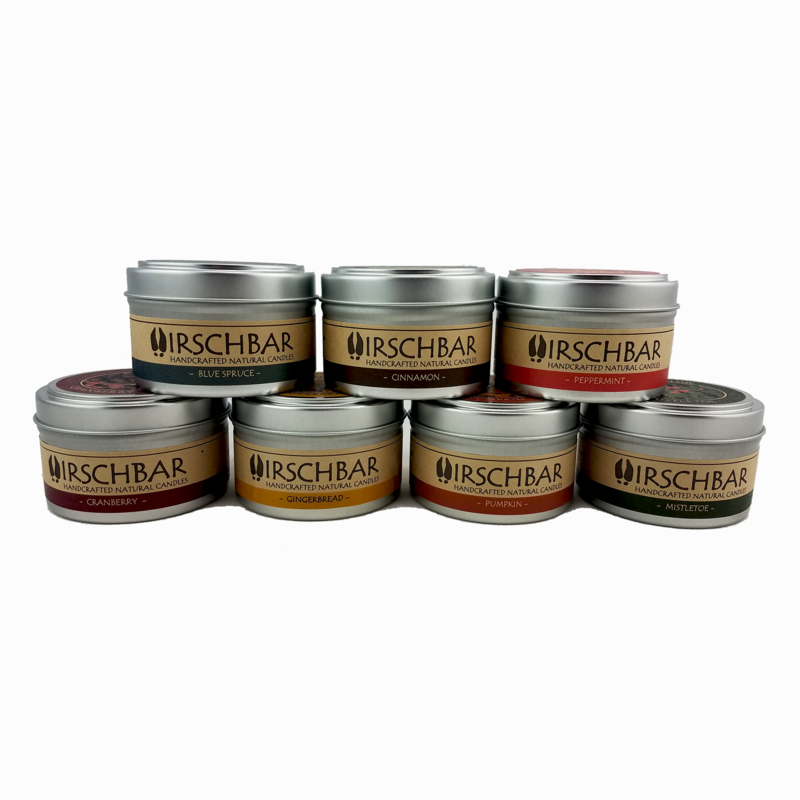 The Hirschbar Happy Holiday Candle Set comes just in time for the holiday season! 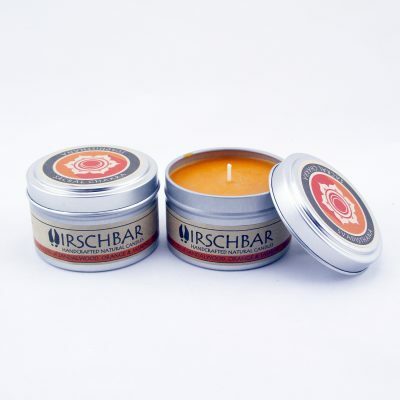 Hirschbar has come up with the perfect set of scented candles to take you right through the holiday season. 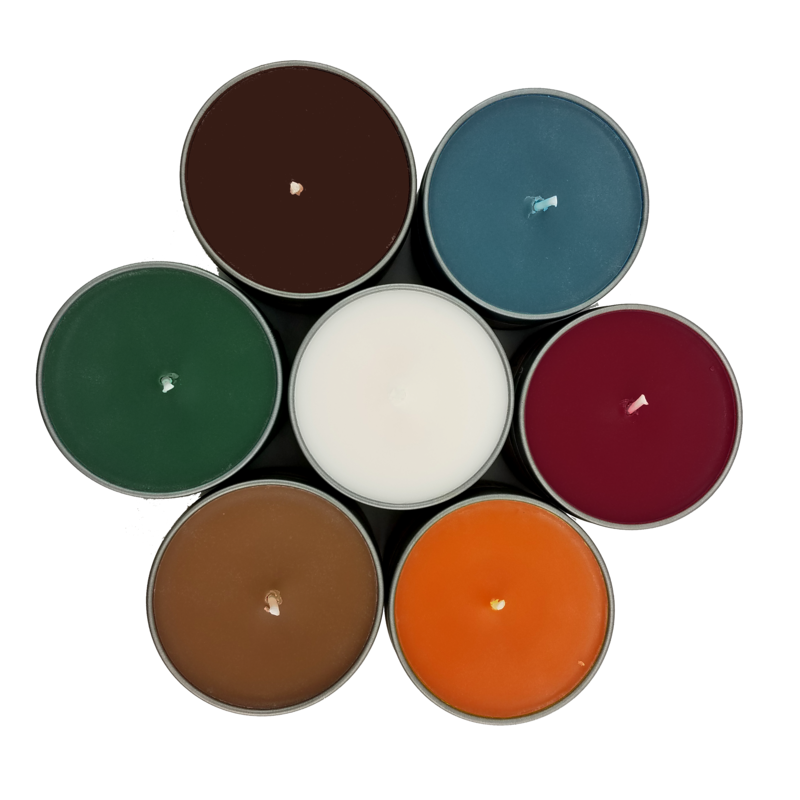 Each of the seven candle set is 5 ounces of 100% soy wax for a clean burning and non toxic experience. 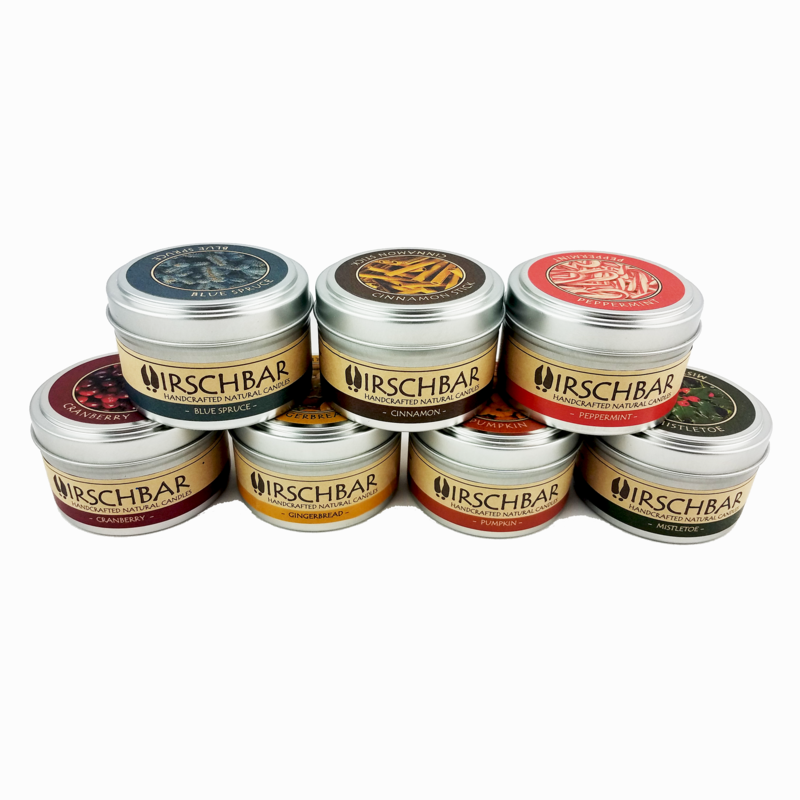 Each scent was carefully selected to highlight the best part of each season with a nice fragrance that is not too over-powering. Pumpkin – Our pumpkin fragrance is a soft welcoming fragrance that kicks off the holidays. 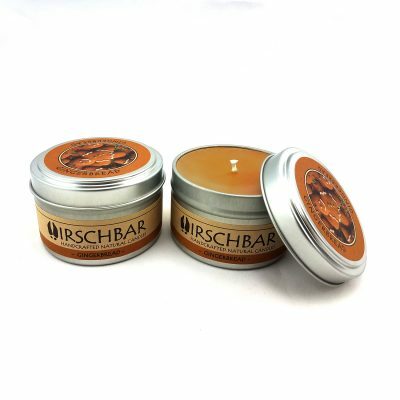 A traditional fall scent reminiscent of a pumpkin pie cooking in the oven. Cinnamon – The scent of cinnamon is a typical fall fragrance. Whether in an apple cider, or cooking in a fall dish, cinnamon is a scent that makes the colder weather bearable. 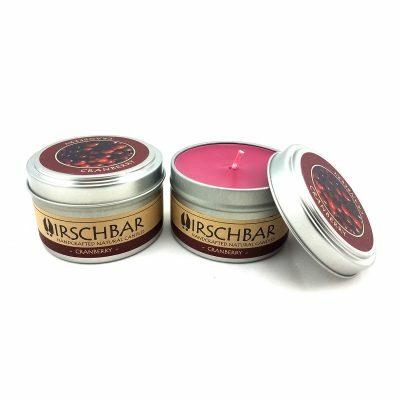 Cranberry – As we move into the time for giving thanks, you will love the Cranberry Marmalade scented candle. Since a turkey scented candle would probably not go over too well, we opted for the best side dish on the table and we think you’ll like it. Gingerbread – Who doesn’t like the smell of warm cookies fresh out of the oven? Our Gingerbread candle is not too strong, but just enough to make your mouth water. Peppermint – Now we’re getting to the good stuff. Peppermint is a nice refreshing fragrance that is clean and tasty to the senses. Goes well with your hot cocoa or pretty much anything else that you want to sweeten up during the holidays. Blue Spruce – We chose the blue spruce for it’s coloring and a fragrance that immediately makes one think of Christmas. Whether you cut your own tree or pick one up from a supplier, our set would not be complete with one of the most recognizable fragrances of the holidays. Mistletoe – When all is said and done, a kiss under the mistletoe is what the holidays are all about. 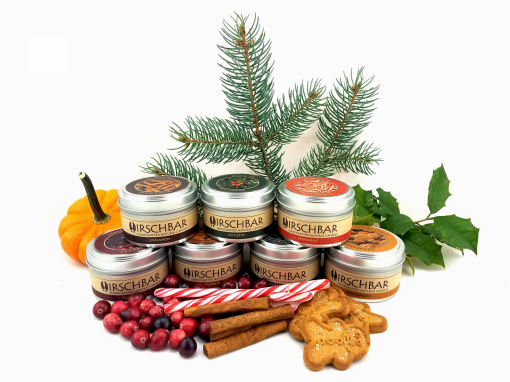 Enjoy the time with your family and friends and maybe get a bit lucky by just burning our Mistletoe scented candle. Results are not guaranteed, but Best Wishes! !